USDA’s ‘Beagle Brigade’ helping to prevent African Swine Fever from entering U.S.
WASHINGTON — When Hardy, a U.S. Department of Agriculture trained detector dog, sniffed out a roasted pig head in traveler baggage at Atlanta's Hartsfield-Jackson International airport early this month, it underscored the efforts USDA and its partners are undertaking to keep African Swine Fever, a swine disease that could devastate the U.S. pork producers, from entering the country. USDA continues to train dogs at its National Detector Dog Training Center in Newnan, Ga. The center is designed and equipped to train detector dog teams (canines and handlers), like Hardy's, to safeguard American agriculture. 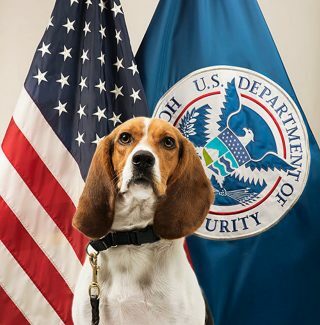 USDA's Animal and Plant Health Inspection Service Plant Protection and Quarantine program and the Department of Homeland Security's U.S. Customs and Border Protection use detector dog teams, known as the Beagle Brigade, to search for prohibited agricultural products at major U.S. ports of entry (airports and land border crossings), mail and cargo facilities. The teams detect prohibited agricultural products that can carry foreign pests and diseases that threaten U.S. agriculture and forests. 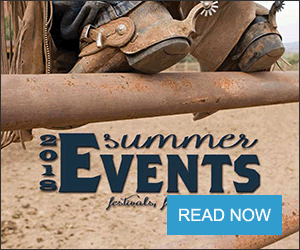 "African Swine Fever is a devastating, deadly disease affecting all kinds of pigs, both domestic and wild — and keeping our pork industry safe is a top priority," said Sonny Perdue, U.S. Secretary of Agriculture. 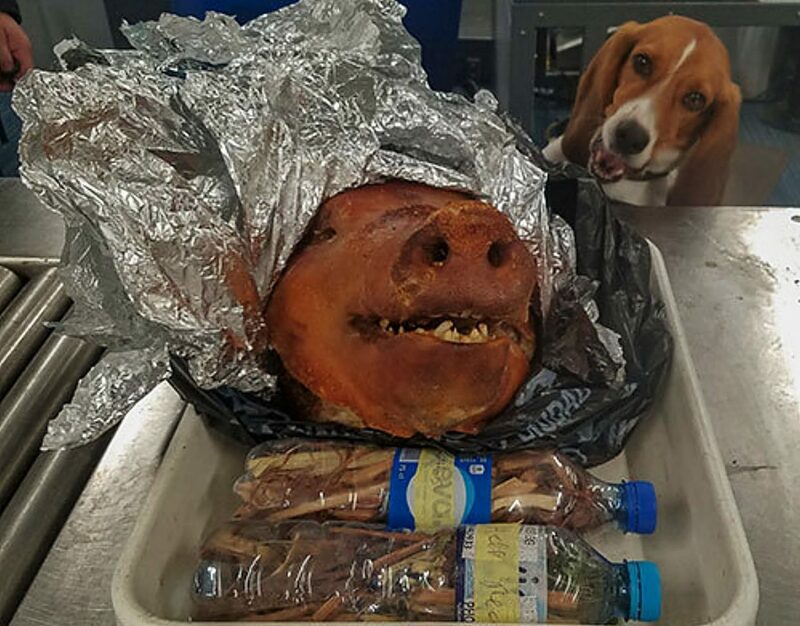 "Recently, our collaboration with CBP proved successful when a USDA trained detector dog intercepted a roasted pig head in traveler baggage from Ecuador. The quick work of a beagle and the CBP staff prevented a potential animal health issue and further highlighted the need to be vigilant in safeguarding the U.S. against foreign animal diseases." • Working with CBP staff at ports of entry to train their inspection dogs, as well as increasing screening vigilance to pay particular attention to passengers and products arriving from affected countries. 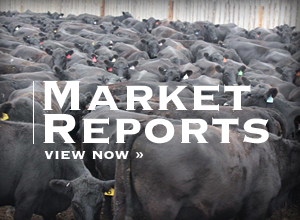 "Because there's no treatment or vaccine available for this disease, we must work together to prevent this disease from entering the United States in order to best protect our farmers, our consumers and our natural resources," said Perdue. "Good biosecurity is key to protecting pigs from any disease. We know the swine industry has many biosecurity resources available for their producers, so it's just a matter of making sure everyone follows the guidance, every day, every time. Our goal is to never have to respond to African Swine Fever."